Are You Better Off Hiring An Agency or Doing Digital Marketing In-House? Home/Are You Better Off Hiring An Agency or Doing Digital Marketing In-House? Every business eventually faces this dilemma – Should you hire a digital marketing agency or try do it all in-house? This is not an easy question to answer. Of course budget plays a factor, but your decision should not be based solely on money. Do You & Your Team Have the Skills Required? If the answer to this question is no, then trying to do it all in-house is going to be a long, expensive, and emotionally draining road to go down. As I’m sure you know, learning a new skill and gaining enough experience to be effective doesn’t happen overnight and usually requires a lot of trial and error. And trying to hire an expert in-house may not make financial sense. What Skills Are Required For Digital Marketing? As you can see this is a long list and each one of the disciplines above can be segmented into even more specific required skills. With this in mind, revisit the question, do you and your team have the skills required for digital marketing? Most businesses will answer no. And for most businesses it will not make sense to hire and maintain an in-house team of experts in all the areas above. One of the key benefits of hiring an agency is that they have experts in each of the core digital marketing disciplines listed above. For an agency to exist and stay competitive it must vet, hire, and train the most talented marketing experts. That means you don’t have to, which means you’re freed up to focus your time, energy, and resources on building your own business rather than building an in-house marketing team. There are many other reasons, but this is the most important and the one that many businesses overlook when making a potentially costly decision to do their marketing in-house. 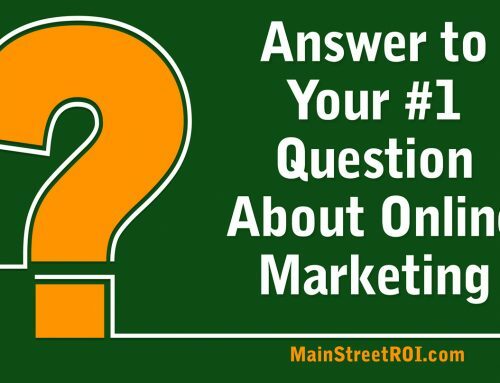 Obviously I’m a bit biased on this topic since my company, Main Street ROI, is a digital marketing agency. So if you want an unbiased take on this topic, then I urge you to read a recent Forbes article titled, Why Digital Marketing Trends May Require You To Hire A Digital Marketing Agency. On Thursday, March 24 at noon Eastern Time, I’m presenting The Death of Old-School SEO & the 5 New Rules to Follow. Plus, I’ll stay on the line to answer your questions about SEO.